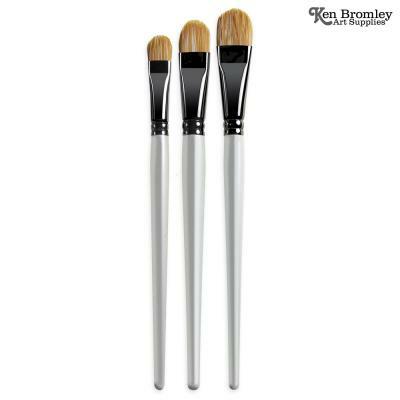 A great synthetic brush. Removes cauliflowers and unwanted drying lines, simply by rubbing gently. Ideal for lifting out inwatercolour. 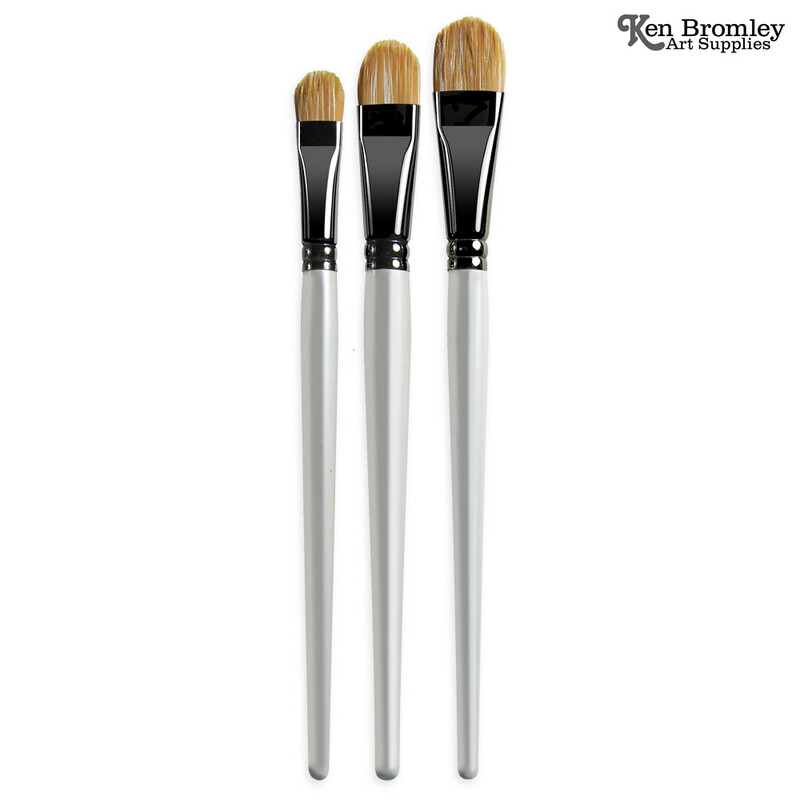 A great rounded brush for painting strokes in acrylics and oils.